How to Delete a List in SharePoint Online? Click on Site Settings gear >> Select Site contents from the menu. On the menu that appears, click on "Remove" link and then confirm the prompt to send the list to the Recycle Bin. 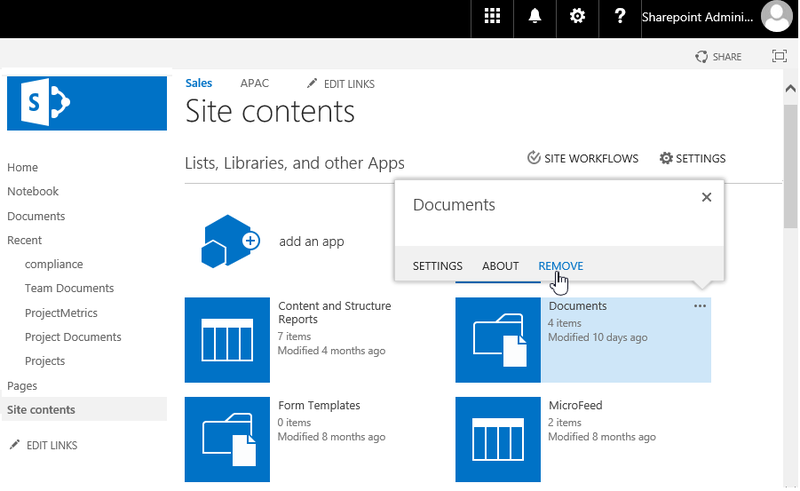 Alternatively, you may remove a list in SharePoint online by going to list settings >> Click on "Delete this list" under Permissions and Management group. Here is the SharePoint Online PowerShell to delete list. Write-host -f Green "List Deleted Successfully!" This permanently deletes SharePoint Online list using PowerShell. This deletes list SharePoint Online with PowerShell. Write-host -f Green "List '$ListName' Deleted Successfully!" Write-host -f Yellow "Could not find List '$ListName'"
The Remove-PnPList deletes the list permanently. Use "-Recycle" switch to send the list or library to recycle bin! This worked perfectly for my list that had "delete" disabled. Thanks!